"strict policy on 1 hand luggage"
✅ Trip Verified | Paris to Lisbon. Flight delayed by 1hr. Rough attitude from staff on the ground with strict policy on 1 hand luggage even if luggage fits size. Fast track service paid, useful when boarding but then chaos to the flight. Very disappointing and stressful situation not worth the saving in the price of the ticket. The company and staff need a bit more experience. ✅ Trip Verified | Faro to Eindhoven. Left about half an hour late due to an oil spillage on the runway (not a fault of the airline). New aircraft with modern sky interior. Very tight and rock-hard seating, which led to an uncomfortable flight and back pain. Table was filthy, completely covered in coffee stains on the front and back. Asked the steward for a wet cloth and cleaned it ourselves. Flight departed at 18.30. No sandwiches whatsoever available (the plane had already made a return flight that day and catering was apparently not replenished). Also warm cheese sandwiches were sold out. So very little food items to choose from, which is unexceptable. Crew advised the passengers to send a complaint to customer services. Perhaps Transavia can also think of adding or changing their catering assortment onboard, beacuse it has been more or less the same (especially the sandwiches) for at least the past 10 years! A warm meal like other LCC's or even TUI offer for purchase could be an idea, also considering Transvia flies to far away destinations like Dubai. 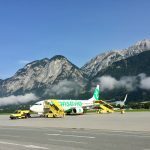 Cabin crew were friendly and flight calm and uneventful, but Transavia could make some effort in providing a better onboard experience. ✅ Trip Verified | Porto to Paris (Orly). Horrible flight, delayed, incompetent ground staff. First and last time flying with Transavia. Ground staff made several people send their hand luggage to the hold, claiming that the cabin would be full. In the end, over 30% of all cabin space was empty. In a flight that was already delayed by over an hour, this useless ordeal made us delayed a further 30 minutes. 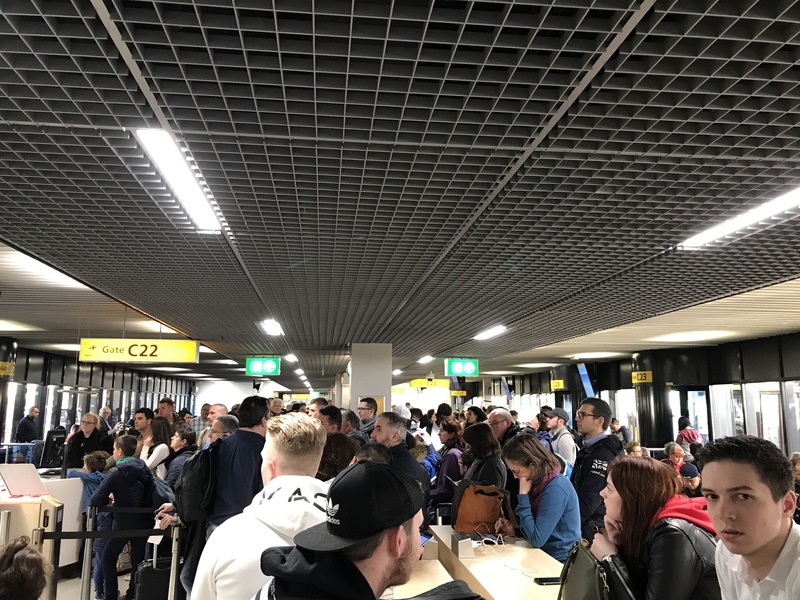 ✅ Trip Verified | Tenerife to Eindhoven. The cabin was extremely cold and drafty. Several passengers asked the crew to solve the problem, but it was neglected. The crew is working and keep warm, while the passengers sits still and get cold. It seems as they didn't understand and the problem was not solved. The crew was composed of very young and seemingly inexperienced persons. Several passengers including myself, had to put on our coats and huts to combat the coldness and draft. We had a second leg with Transavia with no problems though. ✅ Trip Verified | I was positively surprised. I have flown with Ryanair and AirAsia a couple of times but Transavia is much better. We could choose a seat in front for free, the boarding went smooth, legroom was okay, food is reasonably priced and the cabin crew were very friendly. I got sick on the way to Marrakech and the crew immediately came to help me and gave me a free non sparkling coke, during the flight the asked me if I was okay two times. Would definitely choose Transavia again.
" were more then professional"
✅ Trip Verified | Amsterdam to Porto. Thank you so much to all crew of the flight HV6001 from Amsterdam to Porto on the 31st January 2019. Besides offering me a sit with more space for my legs, they spared no effort in making me feel comfortable once I informed them I was suffering from migraine. The care they put in helping me was such that I ended up having a quite pleasant flight, despite my poor condition. They were more then professional. They really seemed to care. I wish I could find a better way to thank them. ✅ Trip Verified | Paris Orly to Amsterdam Schipol with Transavia. We booked an extremely cheap flight of $59 dollars to get to Amsterdam for the weekend. The flight was smooth and only 55 minutes long, but the aircraft was old and clearly needed to be updated. It's not that it was not clean, it was just very tired looking. "disastrous quality of this airline"
✅ Trip Verified | Paris to Essaouira. I have used Transavia 3 times to various destinations. On the first flight, the airplane was about 1 hour late. The second time, the plane was again 1 hour late. However, the disastrous quality of this airline was best evidenced by my last trip. Before boarding the plane, the ground staff asked me to leave my cabin luggage before boarding the plane for the luggage to be checked in, despite the fact there was plenty of room in the overhead compartments. However, my luggage never arrived to the destination. 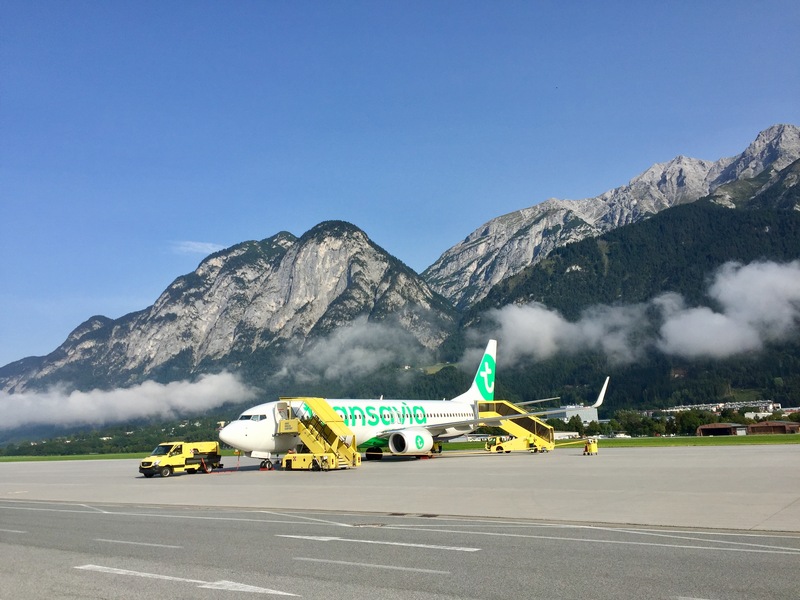 Transavia provided poor information (with supposed "French speaking staff" not being able to speak French) on the matter and this airline did not proactively communicate on the fact that the luggage was definitely lost. The airline also provided a ridiculously low amount as indemnification (resulting in additional expenses for me for about 600 euros not covered by the indemnification). ✅ Trip Verified | I recently booked an open-jaw ticket AMS-OVD/TLV-AMS for March 2019. When my Amex card was going to be charged, a notice appeared in Dutch (see attachment) that corporate cards would be charged with an additional amount of € 10,52. After the payment had been completed I contacted Transavia, because when I booked a flight earlier this year, the extra amount was refunded. Their response was now that they have changed the rules and that I will not be refunded. However, I responded that the message appearing on the screen while paying, clearly stated that it applied to corporate cards. I have a personal Amex Flying Blue card. Amex has also indicated that I don't have a corporate card. 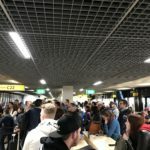 After engaging with Transavia about four times, they will still not take responsibility for the information that appears on their website when booking a ticket paying by credit card. 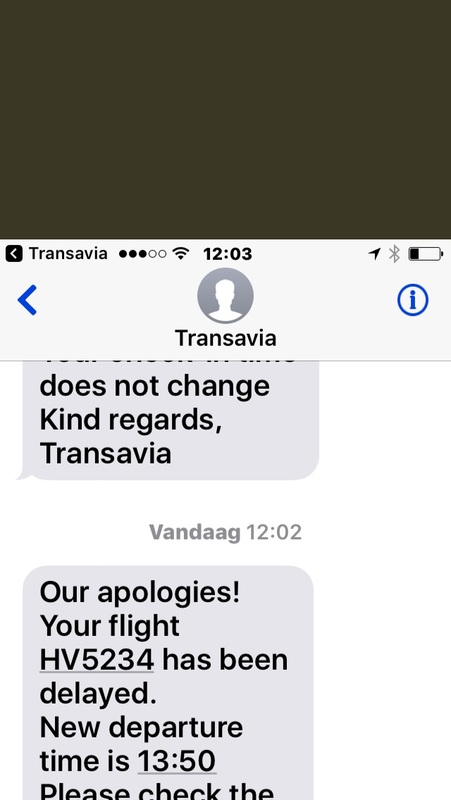 Transavia, when are you going to do something that will give credibility with your customers? ✅ Trip Verified | Munich to Amsterdam. Flight delayed over 17 hours. They refuse to compensate. My flight number is HV5202, supposed to depart from Munich International Airport at 21:35, but was delayed by over 17 hours. I only got notification 2 hours after it suppose to fly. It was midnight, and the staff just sent us all with our luggage and nowhere to go. Around 1AM we got email about the flight will be on the next day at 13.00 (but in the end it boarded on 15.00). I have no choice but to book a hotel to stay overnight. I contact their customer service asking for compensation and my first try is denied saying the cause of delayed is not preventable. I read that The Court of Justice of the European Union has interpreted passenger rights strictly, so that there are virtually no exceptions for airlines to evade their obligations for breach of contract. 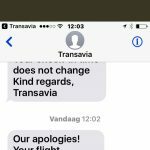 It's my first time using Transavia and it's really disappointing specially the customer service part. The time that is wasted cant be brought back.